As I mentioned previously we are planning to attend the 2014 Webelos Weekend activities and camp out on Saturday, October 11th to Sunday, October 12th. This year the event is being held at the Grange Fairgrounds in Wrightstown, so it is certainly a convenient location for us. There will be Webelos from Packs all over Bucks County, so it should be a big event. Registrations are now being accepted. This is a great opportunity since participants will complete more than half of the requirements for the Arrow of Light rank in this single overnight activity plus what will be sure to be a great night for camping. 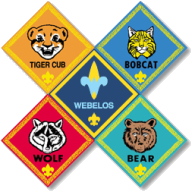 I am hoping that everyone in our den will be able to attend the Webelos Weekend together. Advancement: Scouts will complete all requirements for both Scientist and Outdoorsman Webelos pins, as well as the Scientist belt loop. 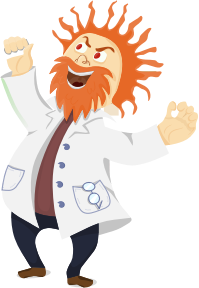 Outdoorsman is required for the Arrow of Light award and Scientiest satisfies the technology-group requirement for the Arrow of Light award). Participant Activities: Make a Cartesian diver set; defy gravity or at least look like it; examine properties of water and air pressure, build and launch your own rocket; make a super-bouncy ball from scratch. There will be a $2.00 walk-in fee if you register the day of the event. To register, go to the on-line form  Bucks County Council website, add your son and an adult as attendees and complete the registration process by paying with your credit card online. Cost is $12 per Webelos and adult. This is a Webelos event; no siblings permitted. Please respond to me by email once you have completed your online registration. Also contact me if you would like additional information about the weekend or help with registering online. We will also talk more about Webelos Weekend at our next den meeting on Monday, October 6.